When UW-Extension agriculture agents collected data from 26 farms, they found it cost $6.35 per day to raise a calf on an automated group feeding system and $5.84 to raise a calf on an individual feeding system. 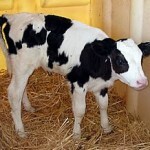 A preweaned calf health management survey was conducted simultaneously on 12 of the 26 Wisconsin farms. 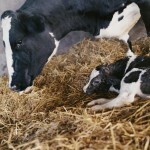 In the October 10, 2018 Hoard’s Dairyman article How real farms are raising calves, UW-Extension Oconto County Agriculture Agent Sarah Mills-Lloyd and Fond du Lac County Dairy & Livestock Agent Tina Kohlman share best management practices associated with both individual and automated group feeding systems in the areas of feed and nutrition and labor which were identified in the ICPA Pre-Weaned Calf Management Survey. For information, please visit UW-Extension Dairy Replacement Management.